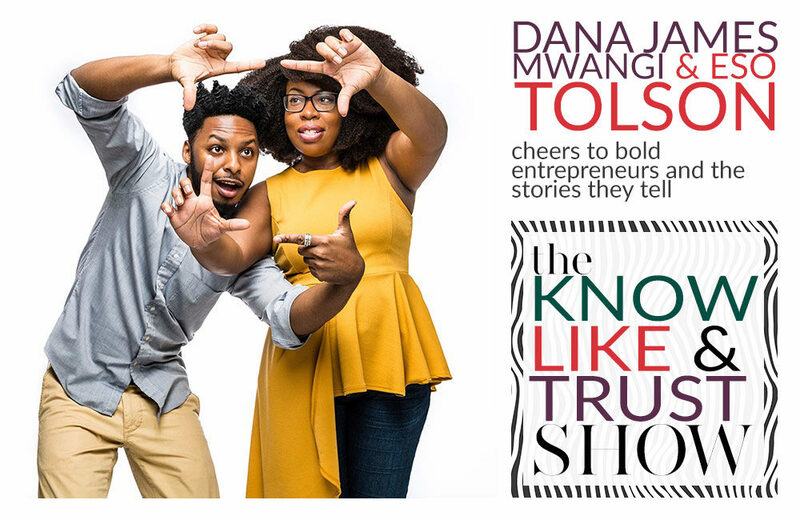 Today on the Know, Like & Trust Show, I am talking with Dana James Mwangi and Eso Tolson. They are partners at Cheers Creative, a Memphis-based practice that provides brand identity and website design for public figures, thought leaders, creative professionals, conferences and galas, and arts and entertainment platforms. Dana and Eso share a passion for helping clients tell their stories through visuals and the most transparent striking and emotionally compelling way. They tell us a little bit more about how to do that through a few case studies through their own business, brand crushes and they also dive into F.O.M.O. ( the fear of missing out) and how that dilutes your brand and looses your know like and trust factor. Dana tells us how she went from being employed as an in-house graphic designer and opened her own business doing brand and web design for bloggers and creative professionals. They tell us how their business evolved after Eso joined the business and how they focused their strengths and expanded their work to thought leaders, public figures, conferences and expos and other creative professionals alike. Dana and Eso tell us that they are selective with their clients, since the love what they do and have fun while doing it! Eso tells us how the Brand Journal came about based on their own needs to organize and log the story behind their brand. 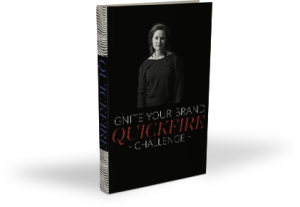 The collected the questions they ask their clients which are used in the branding process. The Brand Journal is a resource to gain clarity and perspective of your brand, make connections between your strengths and helps prepare you for the next steps in building a stronger brand. They tell us about a particular client of theirs that they performed the branding process with and the great results that followed, just by attending the client’s needs, serving his audience best, and evolving the website content. They tell us about some of the big mistakes they see on websites today, including being too validating and boastful and how that become a major disconnect with the audience. Dana tells us how important your website is and how it needs to be treated like your online home, and that visitors need to feel at home. They tell us how many websites don’t tell the story enough, but also contain too much information, thus feeding the FOMO (fear of missing out) factor for those prospects, but the consequence is having a generic website in the busy and loud online world. Eso follows a mantra to “do stuff everyday” which is his way to just do things all the time that compound your personal growth, or the growth of your business.